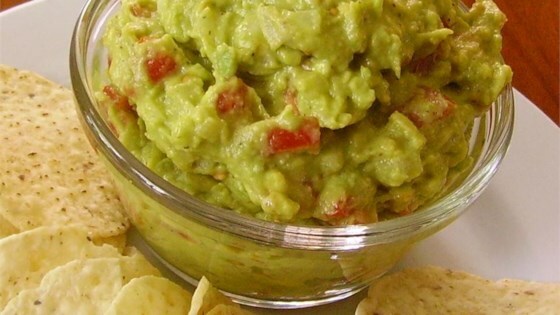 "Simple, easy, and delicious guacamole, perfect for Cinco de Mayo." Mix avocado, tomatoes, onion, jalapeno pepper, and garlic together in a bowl. Stir lime juice into the avocado mixture. Season with salt, black pepper, and cayenne pepper. This guacamole will become your go-to recipe—it's easy and delicious. Simple and easy! Keeps well in the fridge.